At any given moment there are approximately a zillion different crowdfunding campaigns happening on the Web. Take a stroll through Kickstarter or Indiegogo and you’ll find there’s no shortage of weird, useless, and downright stupid projects out there – alongside some real gems. We’ve cut through the Pebble clones and janky iPhone cases to round up the most unusual, ambitious, and exciting projects out there this week. Keep in mind that any crowdfunded project — even the best intentioned — can fail, so do your homework before cutting a check for the gadget of your dreams. Kinetic chargers definitely aren’t a new thing — they’ve been around for decades at this point, from self-winding watches and “shake-to-shine” flashlights. Ampy (formerly myPowr) uses this exact same technology, but is significantly more efficient at converting motion into energy. 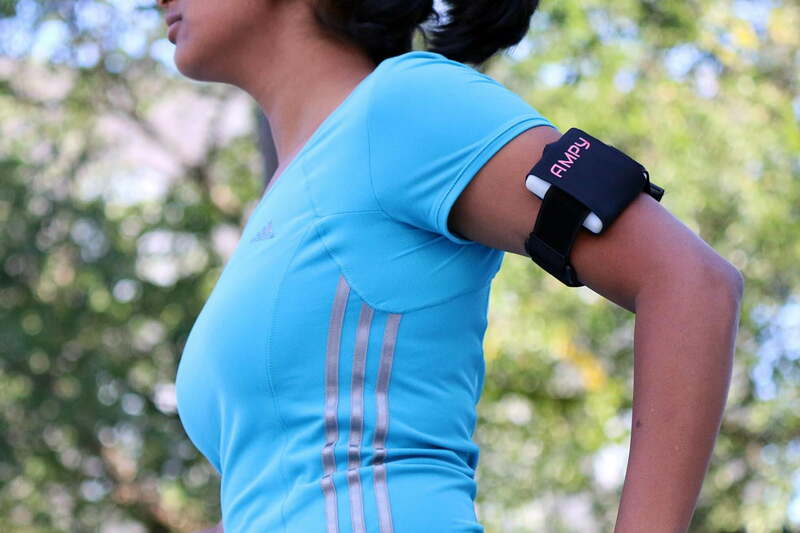 Like other kinetic chargers, the user’s movement (in this case running or jogging) causes magnets inside the device to move. As they jostle around, these magnets generate electricity in surrounding coils, which then travels through a cord to charge your device. In a shaker flashlight the movement of these magnets is limited to just two directions, which limits energy output – but Ampy’s clever design allows it to collect energy no matter what direction the magnets travel, thus boosting efficiency. 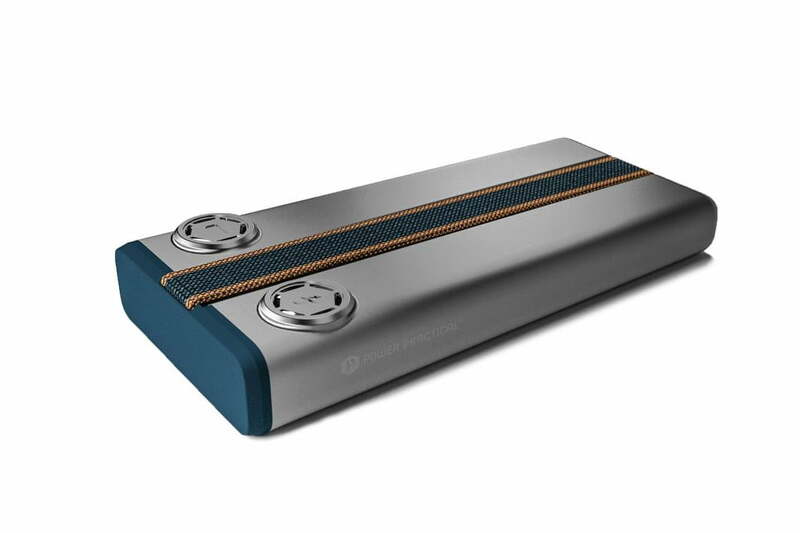 With this thing, charging your phone is as easy as simply moving around like you normally do. 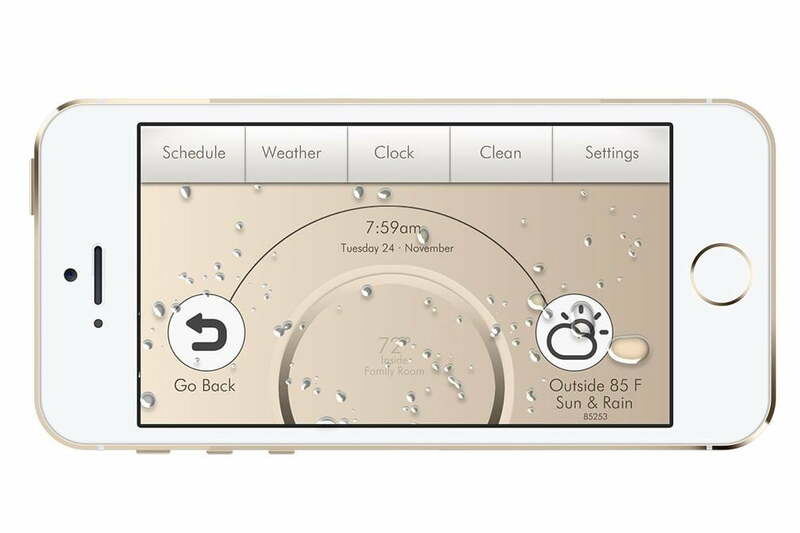 Designed by Arizona-based startup WiseLabs LLC, Bemo plugs into your old iPhone or Android device and transforms it into a fully-functional smart thermostat. By leveraging all the high-performance components the phone already contains, Bemo itself doesn’t have to do any of the heavy lifting. The device itself is only about the size of a credit card, and works as a sort of bridge between your phone and the HVAC wiring in your wall. Once you’ve got it all rigged up, all that’s left is to download the Bemo app and fire it up. WiseLabs’ custom-built software can perform just about all the same functions you’d find in a purpose-built smart thermostat from Nest, Honeywell, and the like — remote control from your main smartphone, smart scheduling, habit learning, energy monitoring, and even proximity-based activation settings that can turn on the heat or AC before you get home. For all the crazy tech that’s packed beneath the hood of most modern smartphones, they’re still pretty horrible at recording audio. Their cameras have gotten better, their processors are more powerful, their screens are packed with more pixels than your eyes can process, and the videos you can shoot with them now rival what you can do with some standalone cameras — yet the audio still sounds like it’s playing from a tin can when you play it back. Hooke aims to change this. 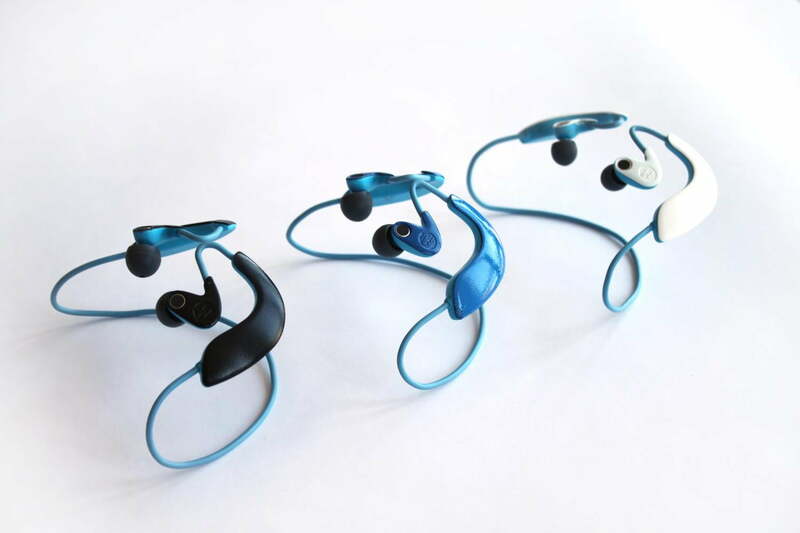 It’s essentially a pair of wireless headphones that, in addition to beaming your phones audio directly into your ears, can also record high-fidelity 3D audio. With this kind of audio capture, you can get a better idea of what the recording environment actually sounded like. You can hear the direction that sounds came from, which gives you more spatial awareness, and makes videos more immersive. You know those SteriPen water purifying gizmos? The ones that emit high-intensity ultraviolet light through a little waterproof swizzle stick, and murder any microbes that might happen to be in your water? Well Steri-Shoe, while not made by the same company, is essentially the same idea — just applied to shoes instead of water. This little gizmo fits inside of your kicks and bombards their innards with UVA and UVB light to kill all the nasty microbes that have taken up residence. In theory, this will help to keep your shoes smelling clean and fresh, since buildup of bacteria and other microscopic critters is generally the main cause of bad smells. 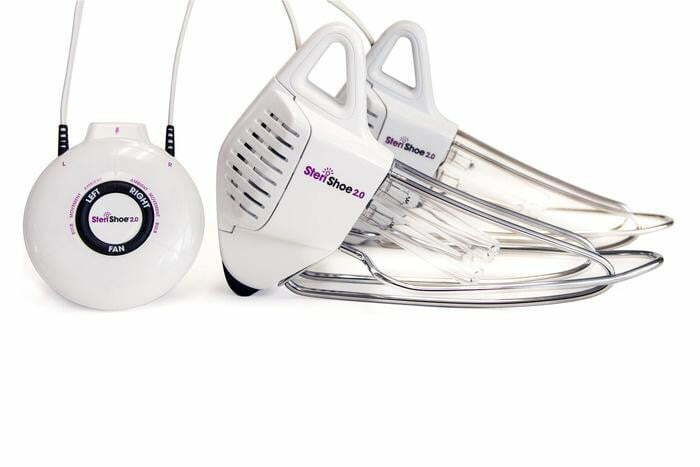 If it works like the creators claim it does, Steri-Shoe would pretty much eliminate the need to purchase any kind of freshener sprays or anti-odor powders, so if you’ve got particularly stinky feet, this thing might very well be a worthwhile investment. Portable chargers are nothing new, but generally speaking, even the best solutions still require a fair amount of preparation and forethought — i.e., you’ve got to plan ahead and make sure your chargers are charged before you can head out the door with them. But what if you’re in a pinch and don’t have time to hang out next to your wall outlet? Well, that’s where Pronto comes in. Not only does this thing have enough battery capacity to charge most phones up to nine times; it also charges up with one phone’s worth in about five minutes. That essentially means no more waiting around for extended periods of time to juice up your gear — you can pop this sucker in the wall for five minutes and be on your way. With a full charge, it can even power a laptop using a 12-volt adapter. The project has already blasted past its initial funding goal, so if you back the project now, you can lock one down for about 80 bucks. The first units are expected to ship around March of 2015.